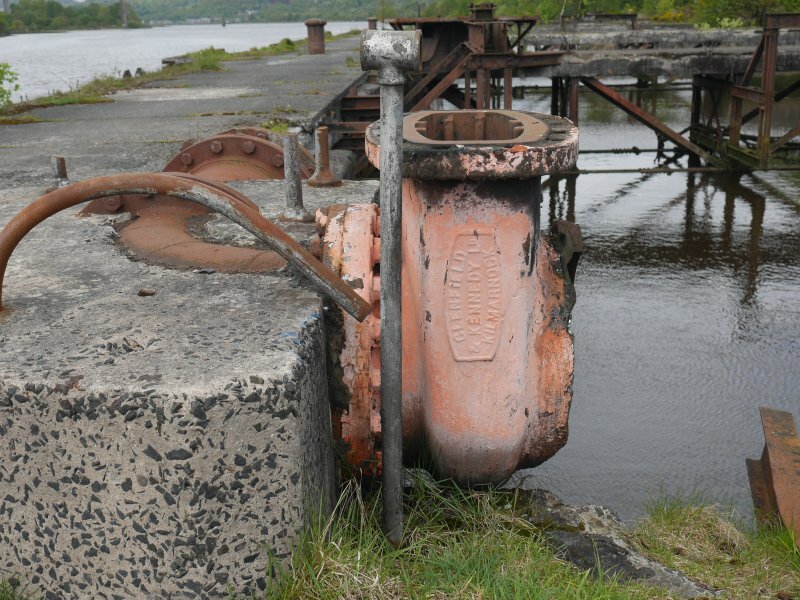 Detail view of pipe system on jetty. 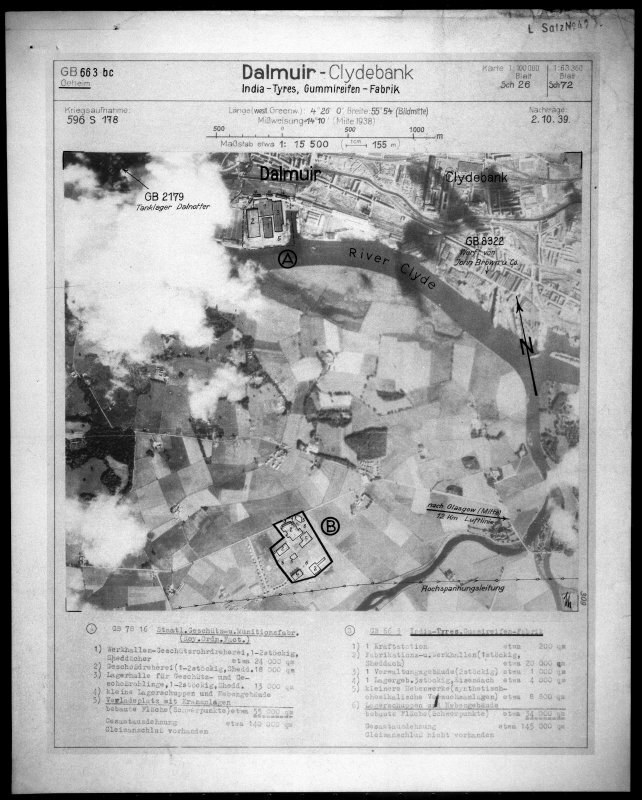 Scanned image of Luftwaffe vertical air photograph of the Inchinnan engine works and the Dalnottar Oil tank farm. General view of jetty, taken from the S.
General view of the jetty, taken from the S.
View of jetty and piping, taken from the SE. Detail view of metal platform on jetty. 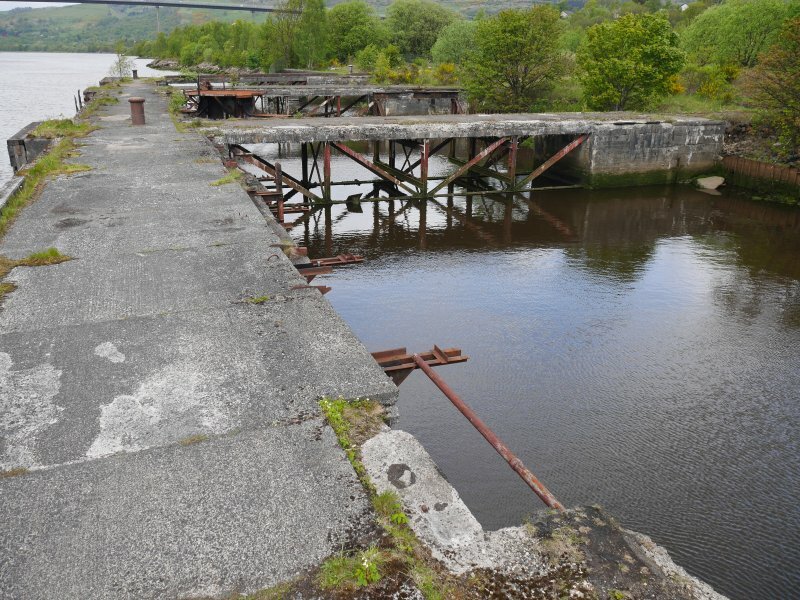 General view of jetty, taken from the N.
Royal Navy oil tank farm situated at Mountblow on either side of the Forth and Clyde Canal (NS47SE 82). 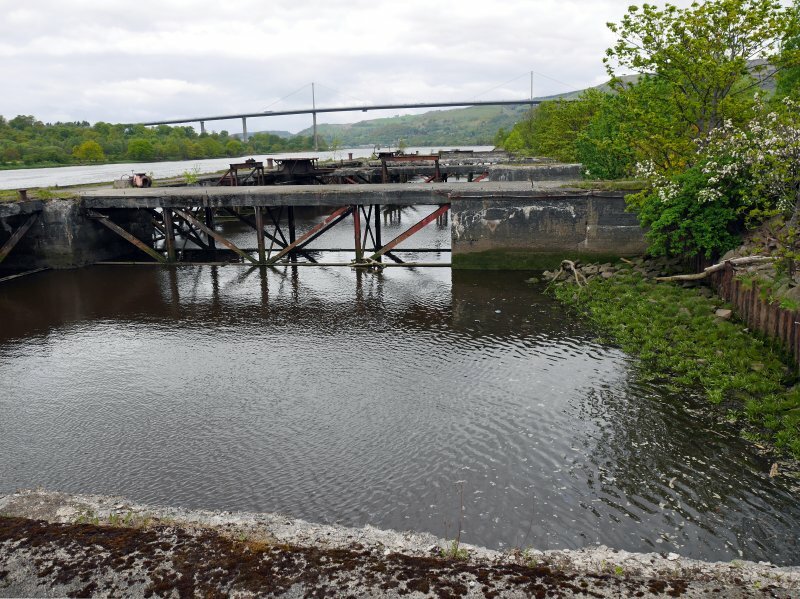 The storage tanks are in two groups at NS 473 724, NS 472 722 with the oil terminal at NS 470 718 on the River Clyde. 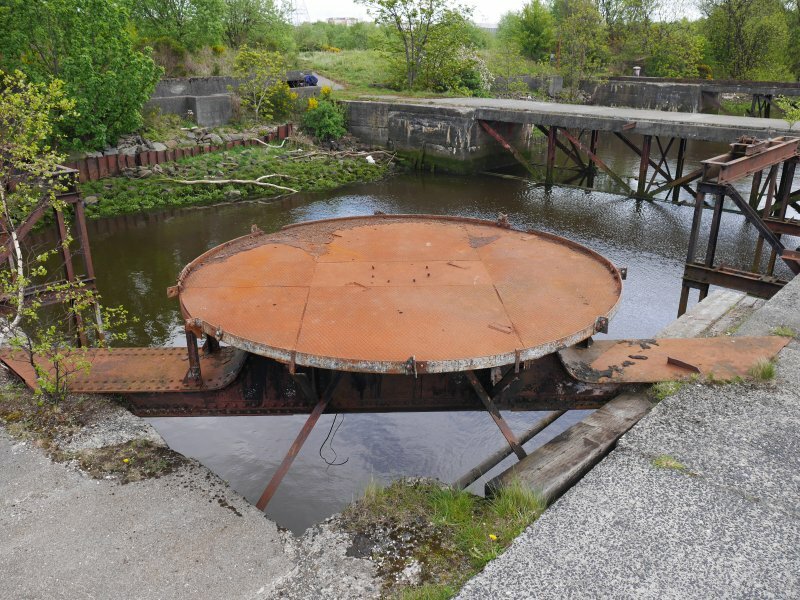 Royal Navy World War II Fuel tanks situated on the N bank of the River Clyde between Bowling and Milton. The fuel tanks are both above and below ground. 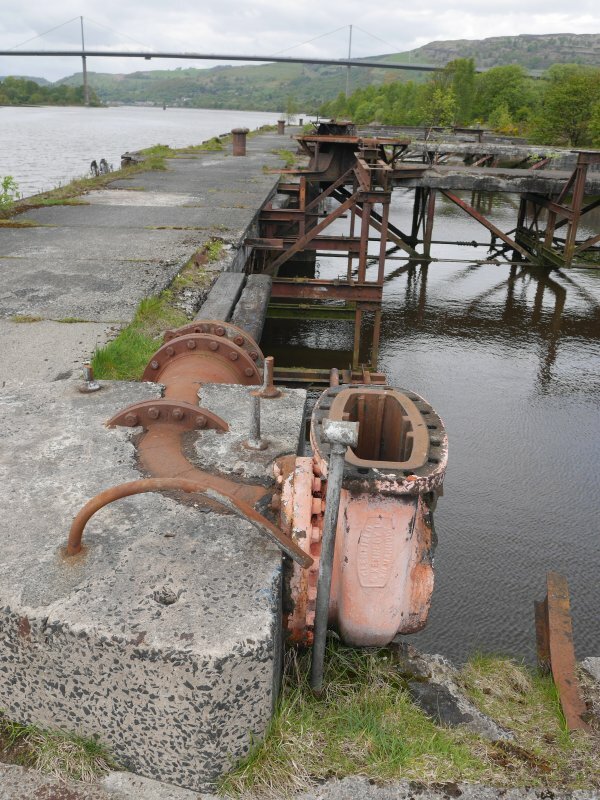 On the date of visit the tanks were in the process of being demolished. J Guy 2001; NMRS MS 810/11, Part 3, 200-1. 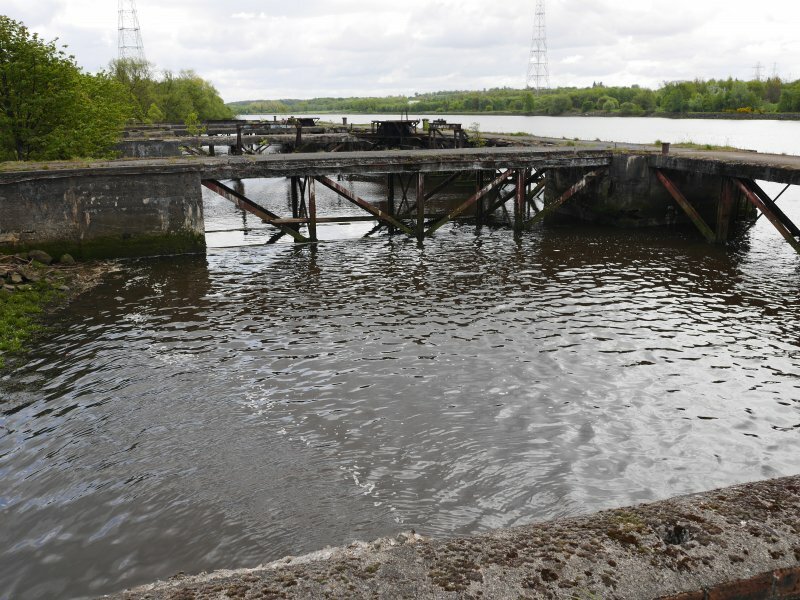 This abandoned oil fuel depot on the N bank of the River Clyde comprises a deep water berth, a concrete jetty and what is now an area of waste ground. Overall, the complex once extended up the hill and over the main line railway as far as Dunnotter Cemetery. The depot was built in 1918 as part of a major project to ensure the supply of oil to both sides of the country and it included a pipeline from Grangemouth. The depot closed in 1982. Visited by RCAHMS (AGCH) 20 May 2015.